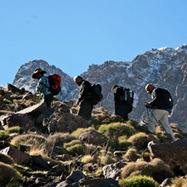 Just 3 hours flight from the UK, The High Atlas Mountains near Marrakech offer some of the finest trekking in the world. 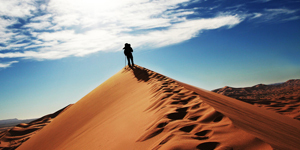 This a stunning five day trek in the High Atlas Mountains of Morocco. 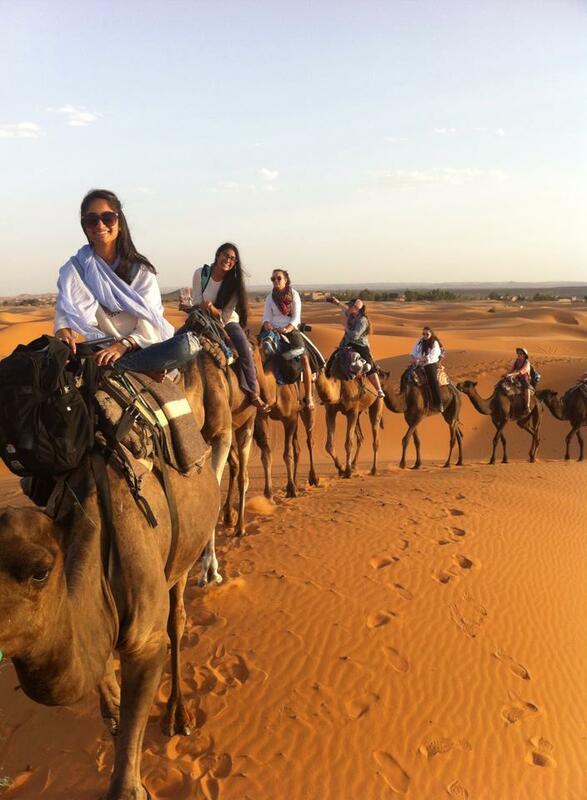 We trek through a variety of landscapes from lush valleys to barren rock. 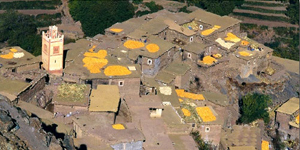 The route takes us through colourful Berber villages and over nice mountain passes. 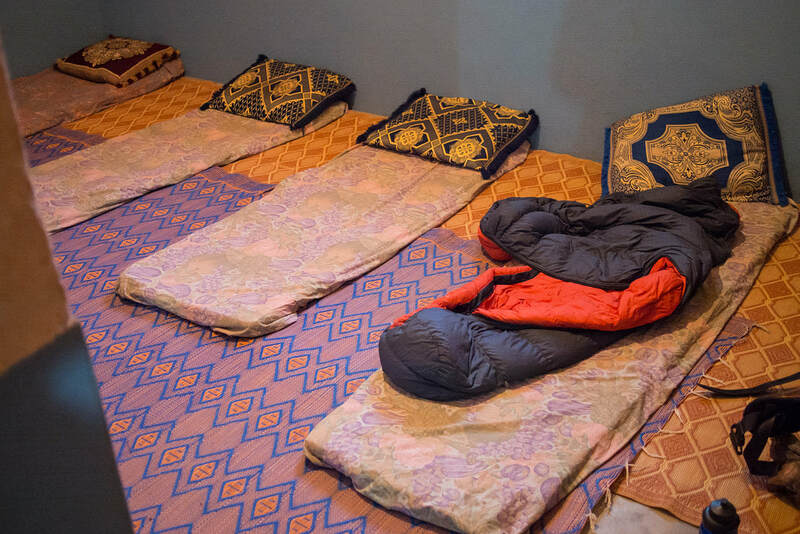 The trek will be supported by a berber team ; Mountain guide, cook and muleteers & mules for luggages. 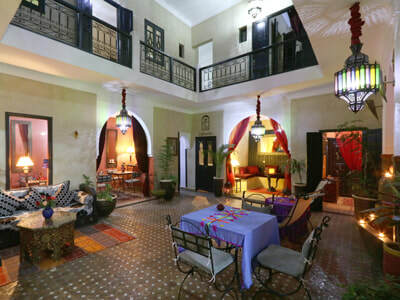 The nights will be spend in the gites ( berber homes) . Early morning departure from marrakech for a pleasante drive south winding our way up through the moulay brahim gorge and upper valleys to arrive at the higher foothills of the western high atlas mountains and our trailhead of imi oughlad (1450m) with the jbel toubkal , at 4167m the highest peak in north africa , aglzim 3650m and aksoual 38847m ,looming before us . here we alight from our vehicle and meet up with berber muleteer crew . We set off up in north-westerly direction for a 2hour acclimatisation hike up switchback mule tracks , passing by cornfields woods pine and juniper to the tiz n'tachete (2000m),where we shallstop to look back down on the imlikl and ait oussaden valleys before carrying on for another half hour to imi n'ifri and our field picnic .thence a slow hike for about 2 and half hours south-west down along a dirt track to assif n' ait oussaden and the red clay terraced village of tiziane ( 1750 m )for our accommodation in our bivouac or gite. after breakfast we now set off on our hike up along the assif n'ait oussaden valley , passing through the wallnuts groves , up to tizi n'taghrhourte (1995m )and through to a rare almost flat strecth to arrive at assaka spring, where we will stop for our field picnic amidst and awesome silence after some 2 and half hours relatively easy walking .our afternoon's hike takes us down along the edges of the forest untill we reach the berber village of D'knt (1870m) or agouns n Assoul where we will have our dinner and spent the in a bivouac or gite . we set off for our morning's 3 hours hike up through groves of walnut trees, fields of corn and barley to greet the many sheep and goatherders – and women and children bent over with 20kg loads of faggots and dried herbs. We traverse the tizi n'tagdalte to the descent amongst the juniper trees till we come to a small spring set amongst the trees , where we will stop for our picnic .once refreshed , we are off down winding tracks of upper slopes for some 3hours to come to a small river at the beginning of the valley of assif n'ait oussaden . 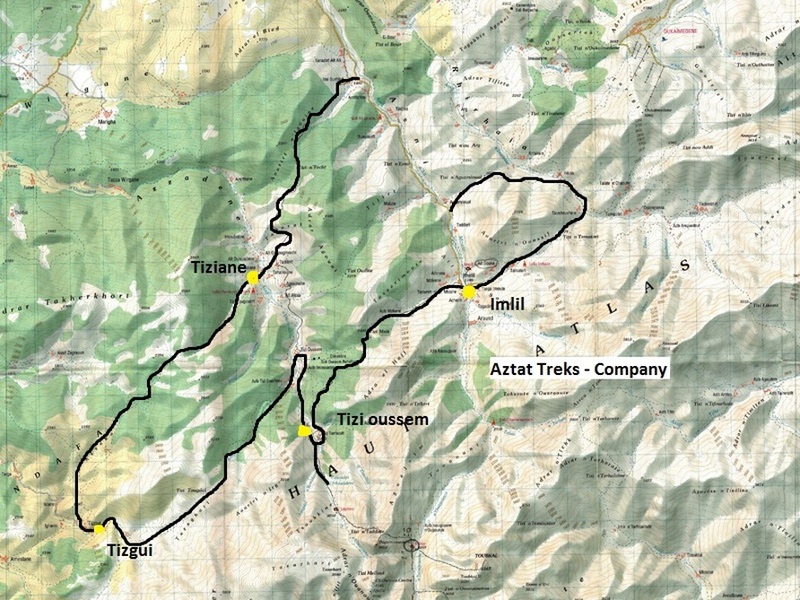 from here we enter the village of tizi oussem (1850m) then up to the summer village Of Tamsoult for our camp or gite. 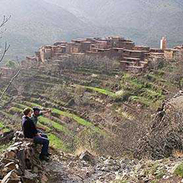 A 6 to 7 hour trek past Berber hamlets and 2 mountain passes, with Jbel Oukaïmeden in sight. The route is circular, taking in as much scenery and natural beauty as is possible. 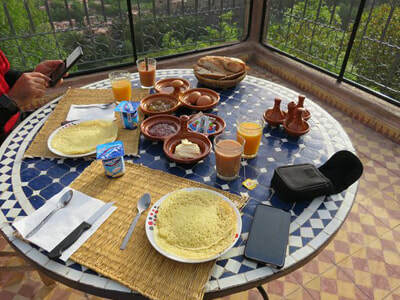 Today walk begins by heading east from Imlil (1,740m) along the Tamatert Valley before turning north through the pass named Tizi n’Tamatert (2,279m) and down via the Berber village of Tinerhourhine into the Imenane valley. 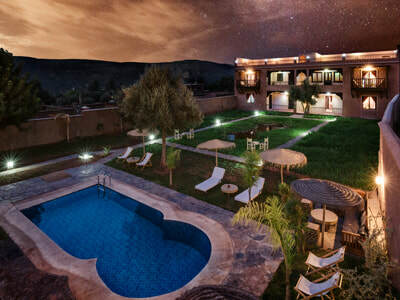 This valley is then followed to the north, along winding mule trails through almond, walnut and apple groves and terraced Berber hamlets to the villages of Ikiss and up to Amssakrou. 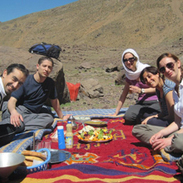 Here a picnic lunch is normally taken, offering a superb view of the peak of Jbel Oukaïmeden (3,268m) and the 2 passes, Tizi n’Ou Arg (2,258m) and Tizi n’Tiratene (2,268m). 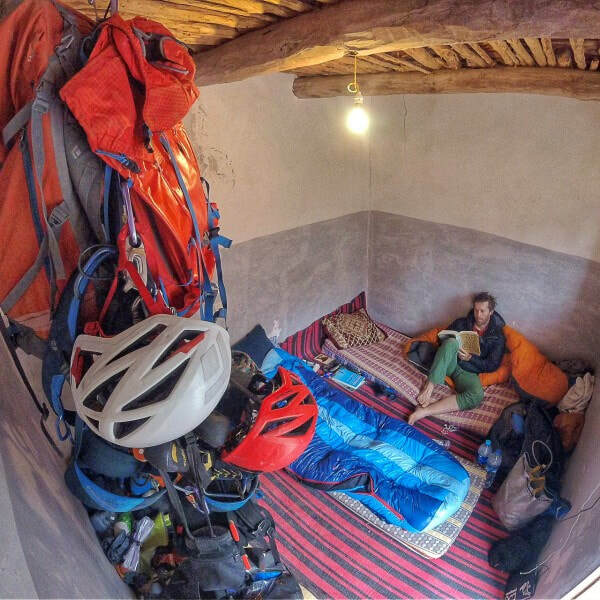 The return is in a westerly direction via the pass, Tizi n’Aguerssiouâl, then through the Assif n’ Aït Mizane Valley and back to Imlil. Next the walk continues along mule trails and past escarpments through the Tizi n’Aguerssiouâl Pass (1,767m) and on to the village of Aguerssiouâl in the Assif n’ Aït Mizane Valley (2,664m) and then south back up the valley towards the peaks of Jbel Toubkal, Aguelzim and Aksouâl to the villages of Taddart and Aït Souka where the walk heads east back in Imlil prior to drive to Marrakech on the afternoon. Note : Itinerary is just a guideline and subject to change to suit local condition. What's about the luggages during the trek ? 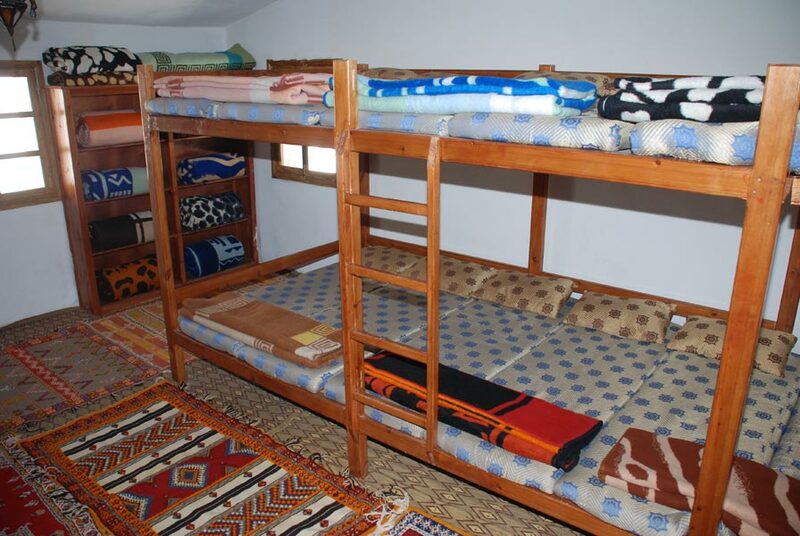 NB : Left luggages or unnecessary luggages can be left safely in our storage in Imlil till you come back from the trek.